Happy first day of February! Nice to see you here again. I hope everyone is staying warm. Our temps have been downright frigid this week (but not as cold as Chicago) with a little dose of snow thrown in and I’m scared to get our heating bill. Ha! This week I shared how we are enjoying our winter backyard. Thank you so much for your kind comments on that post. It seems that so many of you have fond memories of ice skating as a kid! I’m pleased to report that both kids are making more progress on the ice skating front. I also shared the creative way I hung one of my daughter’s paintings using string and glue. As you know, I’m a big fan of projects that use up materials I have on hand! 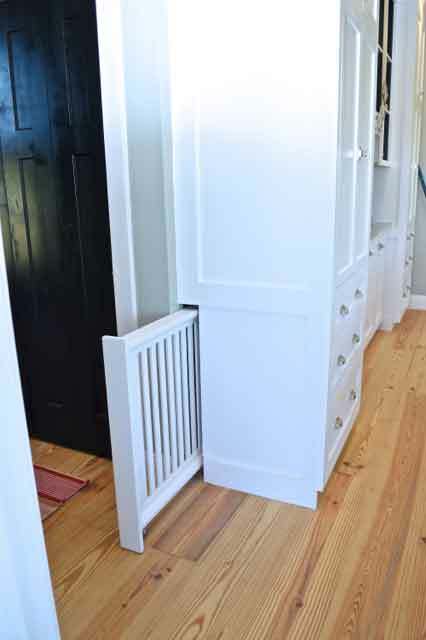 If you love a really great home restoration, then please look at Tyler Karu’s portfolio. In this one picture alone: beams, floors, doors…I’m drooling. Also, why do so many great home restorations seem to happen in Maine? It makes me want to move to Maine. Or at least visit. How come I never knew this? I’ve been licking the thread and shoving it through that microscopic needle eye my entire life! As a girl who grew up on a farm, I often ponder the future of farming and ranching. Especially as food production becomes an increasingly corporatized business. I just purchased these earrings on Etsy. They arrived yesterday and I love them! Although, let’s be honest, it is way too cold for my ears to be showing. I saw Meghan Markle wear a pair of ear climber earrings (different than these) and I became slightly obsessed with the concept because I don’t always like dangly earrings, but I do like sparkle! I did have to Google how to wear ear climber earrings though. The back is not a stud. The back is a curved piece like what you’d expect from a pair of dangly earrings. 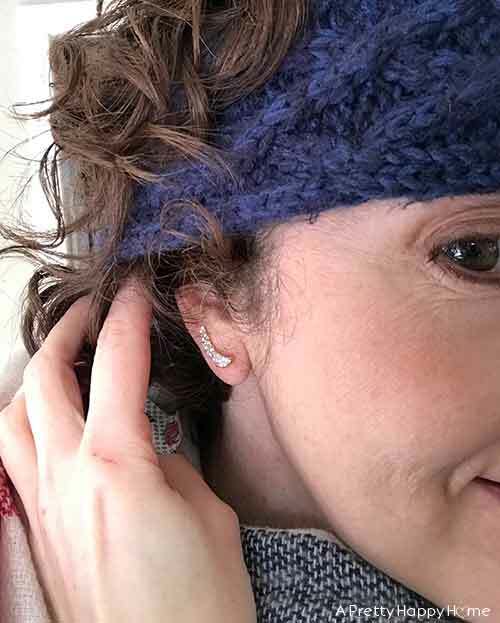 So you put them on like a normal pair of dangly earrings and then slide them up on your earlobe and lightly pinch the the front and back together so that it holds the earring in place. Also, if you notice the scratches on the front of my hand and the superhero bandaid on my thumb, it’s because I jinxed myself when I mentioned on Monday that I’m scared of falling on the ice. I FELL ON THE ICE. Not on the pond, but while shoveling snow. Spoiler alert! I was correct. It does hurt. It can also be a bloody mess and I’m not going to be playing the piano for awhile. The earrings make me feel better though. I realize everyone and their brother has probably seen this picture by now, but I really like a rustic meets graphic wall. It just makes me smile! And I need to know more about those umbrellas at the top. For all of you folks with pets that need to be corralled sometimes, this built-in pet gate is such a good idea. Ryan and Kim at Newly Woodwards show how they created the gate in this blog post. Also, I spotted an even fancier version of this type of gate in Lori Paranjape’s portfolio. Ever since the stomach flu of last week, lettuce has been not welcome in my home. I’m sure it will sound good soon enough, but not quite yet. As a result, I’ve been looking for recipes that include a lot of veggies without being a lettuce-based salad. 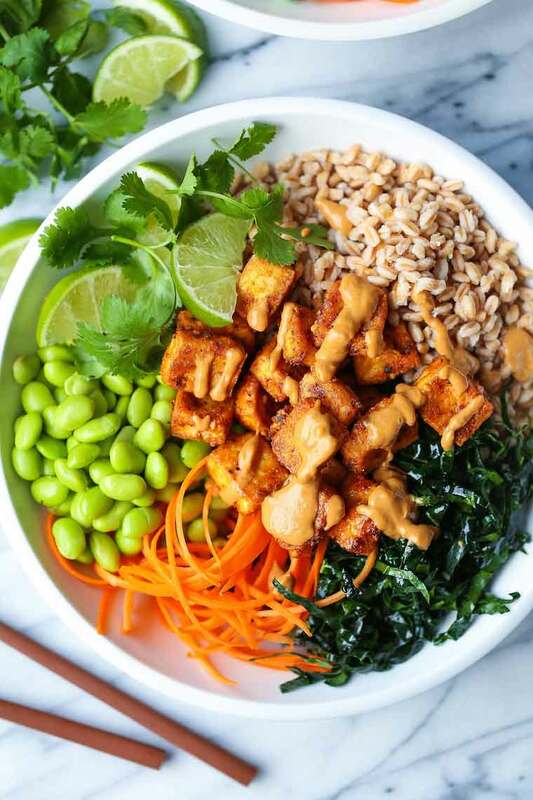 This peanut sauce on this Tofu Power Bowl recipe from Damn Delicious looks really, well, delicious. I’d omit the tofu because I rarely cook tofu at home, but I think chicken could work here too. Who needs to hang art when you have a wall of windows like this? 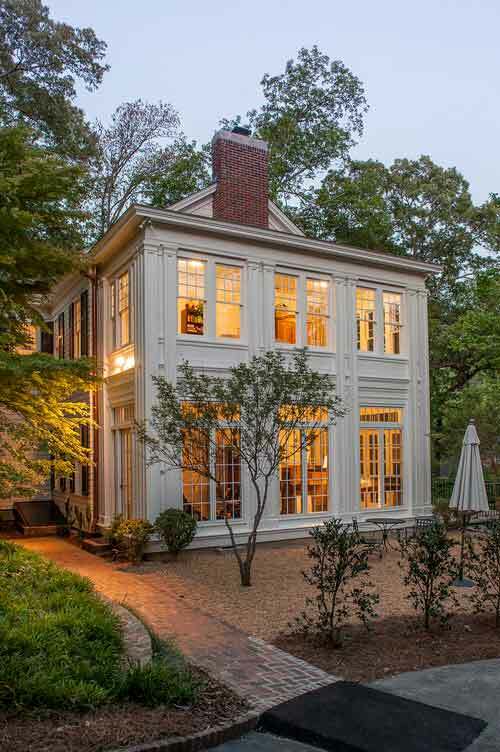 This is from an historic restoration and addition project by Krumdieck Architecture. I found the photos of the entire project to be pretty interesting. Guys…I don’t care about the Super Bowl, but I do love food! And I’m super intrigued by sandwiches that can be made ahead of time and then just popped in the oven! Don’t these look tasty? 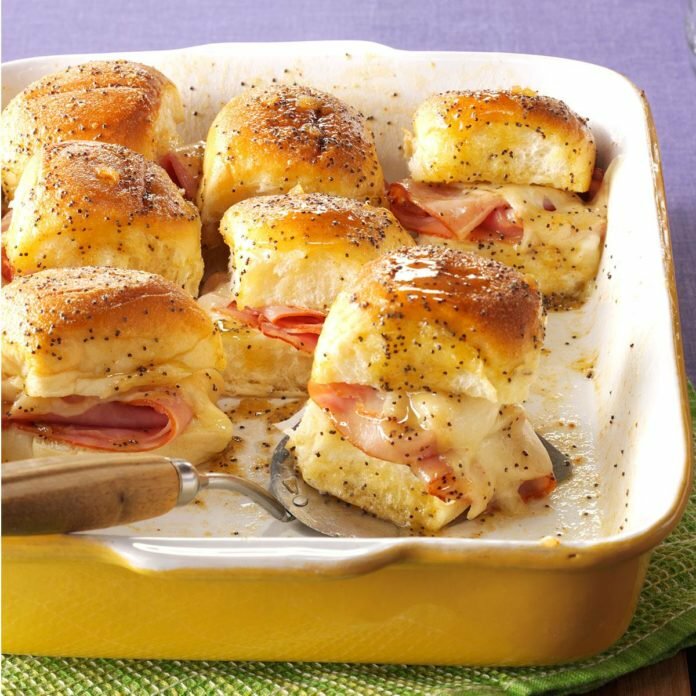 Get the recipe for these Carmelized Ham and Swiss Buns at Taste of Home. P.S. Until we meet again, you can definitely find me on Instagram and Pinterest. Sometimes I make an appearance on Facebook too. *Affiliate links used in this post. If you use one of our links to make a purchase, we get credit for it and it doesn’t cost you anything extra. It’s how we keep this blog afloat, so thank you!